Part 5 is perhaps the hardest part of the Ethics, and not because it is impossible to understand the words we read. Such an interpretative difficult probably belongs to the book as a whole. Rather, even if we can understand the words, do we really know what Spinoza means by the intellectual love of God? Is it possible to have such an experience? It reminds me of some of the stories in Plato’s dialogues which are there to explain the ultimate end of philosophy. I can read the words of the Symposium that describe the ‘ascent to the beautiful’, but can I really know what this means if I have never had such an experience, which as Spinoza writes at the last sentence of the Ethics, is as beautiful as it is rare? Sometimes we confuse knowing about philosophy with being a philosopher, and they are not always the same thing at all. From this we understand what I touched on in IVP39S, and what I promised to explain in this part, namely that death is less harmful to us, the greater the mind’s clear and distinct knowledge, and hence, the more the mind loves God. But how do we get to this sanguine state so that we no longer fear death, which is probably the greatest fear we all have? We do so by reaching what Spinoza calls the third level of knowledge. It has already introduced us to this level in the second part of the Ethics (IIP40), and it is worthwhile here to remind ourselves what the three levels of knowledge are. The first level is the stage that most people are at. It is the knowledge of opinion and belief, which is motivated by fear and hope. This level is not really knowledge at all, but ignorance and unawareness of the world around you and the network of infinite series of causes and effects that determine one’s existence. The second level is a little more difficult, but is knowledge proper. It involves, Spinoza argues, common notions and the adequate ideas of things. Thus, he will write in the second part of the Ethics that there are universal properties of bodies that are recognised by all (IIP38). These common notions are adequate ideas of things and form the basis of our scientific understanding of the universe, but not only this understanding as we shall see later. Now we would think that this would be the end of the matter: the distinction between knowledge and opinion, but it is not. Spinoza says that there is a third level of knowledge, which is the intuitive knowledge of God. It is this knowledge that is the proper knowledge of the philosopher, or the wise human being, which is the same thing, and is the purpose of the Ethics to convince us both that it exists and is possible, and finally can enable us to free ourselves from the worse effects of our affects. What is this intuitive knowledge of God, or what Spinoza will call, in Part 5, the ‘intellectual love of God’, and how does it differ from the second level of knowledge? The first thing to underline, as Lloyd stresses, is that we should not confuse this with any kind of mystical or supernatural knowledge (Lloyd 1996, p.110). There is no transcendence in Spinoza, no reality beyond this reality, no being beyond being. The second kind of knowledge is an understanding of things through the parallelism of the order and connection of ideas and the order and connection of things, but the third kind of knowledge is an immediate understanding of myself and my place within the universe, or to use Spinoza’s language, my place within God. My understanding of this produces the highest affect of joy in my mind (for we have to remember that there is no division between reason and affects for Spinoza), which is what he calls ‘blessedness’. However this immediate joyful wisdom is not be confused with mysticism or irrationalism. At the end of his lectures on Spinoza, Deleuze explains these different types of knowledge in terms of swimming (he is adamant that we should not take mathematics as the model of adequate knowledge, but just as one example) (Deleuze 1978). What does it mean to know how to swim? Perhaps the best way to understand this is to think about what it means not to know how to swim. Not to know how to swim means to be at the mercy of the waves such that if one entered the ocean one might drown. To be at the mercy of the waves is inadequate knowledge, for one has a passive relation to external elements about which one only knows the effects (‘I am drowning’) and not the causes, which would be precisely to know how not to drown, and which is the same as knowing how to swim (learn to float, learn to shut one’s mouth so the water does choke you, and so on). Now as the waves crash over me, depending on what happens, I might cry out in joy or shock. Such are my affects or passions, to use Spinoza’s language, and they are always related to external relations to an external body. The waves on my body, which might be nice, but also could be quite dangerous (these are the screams and shouts one hears on the beach all day, which generally one takes to be an expression of happiness, but there is always the threat of tragedy on the horizon, otherwise there would be no lifeguard). But what does it mean to know how to swim? How come that is not the same? It does not mean, Deleuze says, that I have to have a mathematical or physical understanding of wave mechanics. That would be going too far. Rather, as they say in French, one has a savoir faire of the wave. Instead of fighting against the wave, one goes with it, one has rhythm. In the sense one knows how to compose one’s body with the body of the wave. One knows the right moment to jump in, when to dive, to surface, to use the wave to propel one along, and so on. It is important not to think that the second level is mathematical. Mathematics is kind of second level knowledge, but it isn’t what this knowledge is tout court. Just as one can speak of knowing how to swim, Deleuze says, one can speak of knowing how to love. How does someone love inadequately? Just as in the case of the wave, one who does not know how to swim, one is at the mercy of external effects of which one does not know the causes. Whereas to know how to love is to know how to compose one’s body and mind with another. This is a strange kind of happiness, Deleuze says, but no-one would confuse it with mathematics or physics. What then is the third kind of knowledge? It hardly seems possible that such a thing could exist. It does so because the other two are relations to external bodies and not to essences. I either know how to compose with another body, or I do not, but neither the relation of composition or decomposition is an essence. What is an essence Spinoza? It is a degree of power. To have the third level of knowledge is to know (or to intuit, to use Spinoza’s word, so as to distinguish it from the second level of knowledge) what makes up one’s own degree of power and what makes up the other’s degree of power. For every degree of power that is given there is always a degree of power stronger, since the totality of Nature would be infinite degree of power, and no singular thing could be the same as infinite Nature, as this would be to confuse a mode with a substance. Now if we were to view this relation between essences externally, then we would say that the weaker essence would be destroyed by the stronger one (the hand crushes the fly), but if this were the case, Deleuze says the whole of Spinozism would collapse, for it would mean that there would only be inadequate relation between essences. How can we think of the relation between essences in a different way? The key he says is proposition 37 of part 5, for it explains that the axiom in part 4 that describes the relation between essences as one destroying another only has to do with singular essences in a determinate time and place. What does it mean to think of something in this way? It means to think of it in terms of existence. What does it mean for something to pass into existence at a certain time or place? It means that a body is determined from the outside by other external bodies. I have an essence, you have an essence, each essence is singular, but to exist is to be determined from the outside by other bodies (I cannot exist without food, water and air, for example). To exist is to have a time and a place, and to have a time and place is to exist in relation to other external bodies that determine one from the outside. Until such point that these external bodies enter a different relation, then I exist. At this level, everything exists at the level of opposition. I kill the pig to eat its meat, but the next day, I die of botulism, and so on. In this case, one might speak of a stronger power destroying a weaker one. Such is the risk of death, which is the inevitable and necessary event that external relations that sustain my body enter a different relationship (which is what we mean by disease). My essence, however, is not the same as the external relations that I have with other bodies. A degree of power describes an intrinsic and not only an extrinsic relation and for this reason it makes no sense for Spinoza to say one degree of power destroys another degree of power, just as much as it does not make any sense to say that the colour red is redder than green. Intensive magnitudes cannot be compared extensively. What then does it mean for Spinoza to say that one is eternal? It is not a declaration of belief, as if by that one means that one is immortal, for eternity and immortality are not the same. To think that one is immortal is simply to take one’s finite existence and to imagine that it would continue for every, which contradicts the very fact of death. An experience of eternity, on the contrary, Deleuze says, can only be felt as a kind of intensity. It would be to understand that one’s death, as the relation of a body to other external bodies, was insignificant and did not matter, because as intensive parts, singular essences, we all degrees of the infinite power of God. What matters, what is important, is not the duration of our lives (how long we live), but the actualisation of one’s essence. If one laments a premature death, it is just because they did not live long enough, or that they didn’t actualise what they could have become? Equally, we might think someone who had a lived a long life in years but did not do everything with their lives that they could, might also have lived a sad life. It is perfectly possible to live a short life, as Spinoza did, but intensively as though one where eternal. Intensity, then, would be the measure of the third level of knowledge. Many find the end of the Ethics incoherent and a contradiction of the overall message of the book. The most notorious of these is Bennett, who pretty much gives up on it altogether. 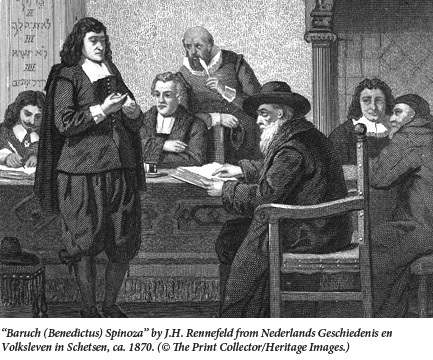 Sometimes one thinks that Bennett doesn’t like Spinoza at all, and one wonders why he is reading him, since most of the time, in his opinion, Spinoza is wrong (Bennett 1984, pp.329–75). I think, however, that Lloyd is absolutely right in stressing that this third level of knowledge is not religious at all, but is merely a taking on board, in terms of our lives and our experiences, what is taught abstractly through definitions and axioms in part one that God is the totality of the universe of which we are an intrinsic part, rather than an element separate from it sustained by a fictional personal God, who in reality is nothing else than a projection of our absurd pride that the universe could have been created for us in the first place (Lloyd 1996, pp.112–13). One way that people imagine that they have a special and unique place with the universe, rather than just a finite mode of an infinite substance, is to believe that there is immortality of our lives after death. To overcome our fear of death, we imagine that our personality and consciousness continue after we have disappeared. This is not possible for Spinoza, because my sense of myself is only possible because I have a body. My mind, as we learnt from part 2, is an idea of my body, and my body is not an idea of my mind. Without my body I wouldn’t have a mind at all, and any sense of duration, and time would cease to exist. 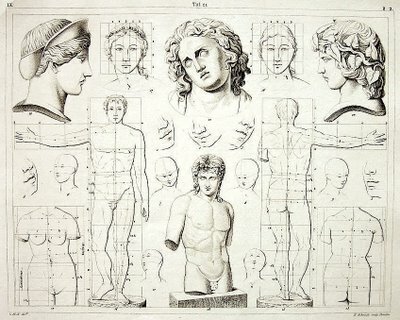 Immortality is based on the false idea that minds can exist without bodies, and no one suggest that bodies are eternal. Combined with this false idea is the confusion of eternity with infinite duration, so that I imagine myself living together as I am now but just for an infinite time. Eternity does not mean for Spinoza time going on forever, but something quite different. This is why he can say that even though there is no immortality in the way that religions have imagined it, there is part of my mind which is eternal. This seems to be very strange since it implies that the mind can exist without the body, and this cannot be what Spinoza is saying since it would contradict the fact that the mind is the idea of the body. The contradiction exists for us, because we still viewing eternity in terms of duration. We are imagining that mind would continue to exist in the same way as it endures whilst the body exists. Lloyd continues to explain that is not a matter of ascending to a transcendent vision of the universal, like Plato’s ascent to the beautiful and the vision of the one, but of understanding the ‘actual existence of these affections’ (Deleuze would have said the singular essences). For all that exists for Spinoza are singular things and substance, or the being of singular things. To understand singular things as the expression of substance is different from understanding them in relation to other singular things, which is the basis of the 2nd level of knowledge, which compares one thing with others. This kind of knowledge, though adequate, can never be complete. As Lloyd concludes, ‘we know that we are in God, and are conceived through God; we understand ourselves through God’s essence as involving existence’ (Lloyd 1996, p.122) Having seen this, I can understand that dying is of no consequence to me, since, in understanding myself in relation to substance which is eternal, the greater part of my mind is given over to what is eternal, rather than to what is individual and perishable in me, my imagination and memories. Zizek, S., 2004. Organs without Bodies : On Deleuze and Consequences, New York; London: Routledge. So far in our discussion of Spinoza’s Ethics, we have only spoken about substance and attributes. This is because we have tried to answer the question ‘why is there only one substance?’ We have seen that to understand Spinoza’s argument we have to see that it progresses from the principles of Descartes’ philosophy. 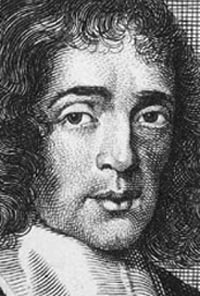 Spinoza is only taking to its logical conclusion what is already implicit in Descartes’ philosophy, which he himself, because he is still caught up in a theological world view, where God is viewed as transcendent in the world, could not see. It is this theological prejudice, this ‘human fiction’ as Spinoza calls it in the appendix to Part 1, which is the source of the separation, distance and split between attributes and substance in Descartes’ thought, and which necessitates the one-to-one correspondence between attributes and substance, such that every attribute must have its corresponding separate substance. Thus, there is not just the thought-attribute, but also thought-substance; there is not just extended substance but also extension-substance. As Curley argues, this doubling up of substance and attribute is caused in Descartes text because he cannot accept that God could also be extension, and therefore he still needs the split between infinite and finite substance. How then do modes fit into the relationship between substance and attributes in the Ethics? To answer this question we first of all have to remind ourselves that the fundamental distinction is Spinoza’s philosophy is between independence and dependence (Curley 1988, p.20). Attributes and substance are both independent; that is, they are conceived through and exist in themselves (this follows from 1D3 and 1P19)). It is important not to separate attributes and substance, however, since they are nothing but the essence of substance. Modes, on the contrary, are dependent; that is to say, we can only conceive of them through attributes and they exist, to use, Spinoza’s language, in another (1D5). Again we can understand this difference, which is essentially the difference between attributes, which make up the essence of substance, and modes, through Descartes (though as we shall see for Spinoza, his modes are particular things because the way that he conceives of substance). Take, for example, the famous example of the piece of wax in the Mediations. When Descartes first experiences the piece of wax, when he brings it into his room, it smells of flowers, tastes of honey, makes a sound when rapped, is hard and cold to the touch, and it is white, a cube and an inch in diameter. These are obviously all the properties the wax, and if someone where now to ask me what the wax is, I would list them. But now Descartes places the wax near the stove and the action of the heat changes all the properties. So these qualities cannot be the explanation of what the wax is, for the wax is still there, and yet it has completely different properties. It has no fragrance of flowers, no longer tastes of honey, it doesn’t make a sound, it is soft rather than hard, and is no longer white or a cube. 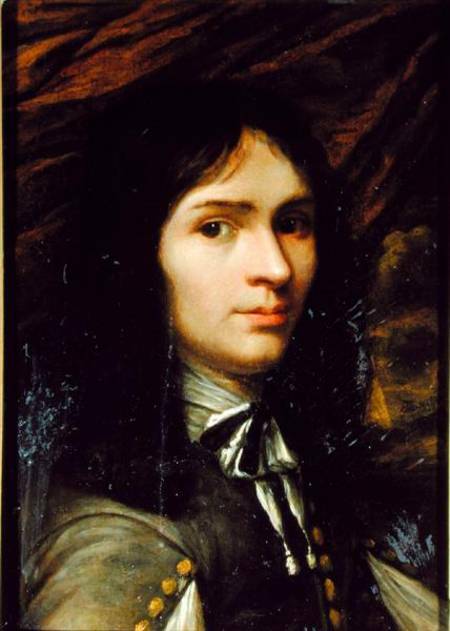 There, then, has to be a more fundamental explanation of what the wax is, which explains these changes of properties in relation to the action of heat, and this is the attribute of extension, which for Descartes is ‘matter in motion’; that is to say it is the interaction of the tiny particles of matter set into motion by the action of heat which explains the change in properties of the wax, which are dependent on them. It is this hierarchy that Spinoza sees as incoherent. Cartesian physics needs the fundamental laws of physics to eternal and necessary, but at the same time he makes them contingent on the absolute power of God, which would make them utterly arbitrary. 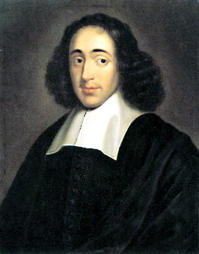 Spinoza is as committed as Descartes to the rational view of nature, so in order to preserve the rational explanation of the universe, he has to get rid of the personal God who still inhabits the pages of Descartes’ philosophy, who has the same capricious will as a tyrant (again this is why the appendix of part 1 of the Ethics is so important, for of course the mis-identification of God with the arbitrary power of a king also has a political message). What Spinoza does is identify God with the laws of nature. Every time that we compare Descartes and Spinoza we can see that it is matter of the latter getting rid of the all the divisions and separations that the former still want to hang onto. 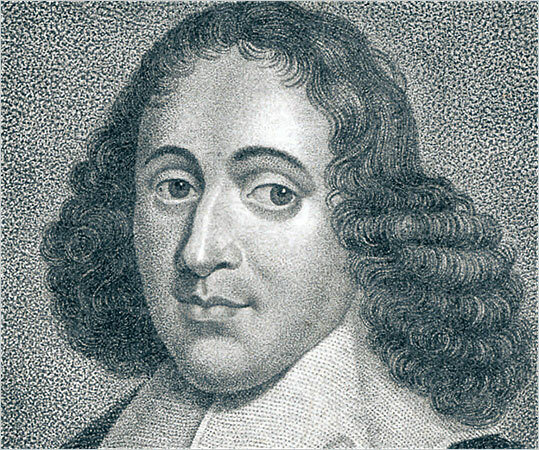 Spinoza flattens Descartes’ transcendent split between finite and infinite substance, and thus the separation between substance and attributes – attributes are not other than substance, rather they express the essence of substance. Everything follows from the universal and necessary laws that are inscribed within the attributes, which do not need any more explanation since attributes can only be conceived through and exist in themselves. From these laws follow all the individual things and properties that we see in the universe, which are what Spinoza call modes. Modes themselves are distinguished by Spinoza as either infinite or finite. Infinite modes follow immediately from the attribute. Thus motion and rest are infinite modes that follow immediately from extension, and these laws in turn explain finite modes; that is particular individual things. Infinite modes are infinite because they apply to all of nature at any time and any place, and are eternal in the sense that they are necessary. They are not infinite and eternal, however in the same sense, as attributes, since they are dependent on these attributes, whereas attributes, as we know, are entirely self-contained. You are currently browsing the archives for the Spinoza category.